December is a month which is full of celebrations, winters make it even more special.And making a snow man from snow is the best thing but wait we don’t have snow here in Oman or rather had we been in Delhi getting a booking done for Shimla in december is next to impossible.So does that mean Little N will miss out on making snow man and his childhood winter memories will have no snow man in it? Well No he is going to have better memories with snow man and will have no chilly hands too. Do It Yourself is the word …Yes we make snow at home. In a bowl mix the corn starch with oil till the time it bind like snow.Take more cups if you wish to make a bigger snowman.We were able to make a small one but considering the fun factor I would suggest take some more.N was happy with his snow man so for us quantity was not an issue. 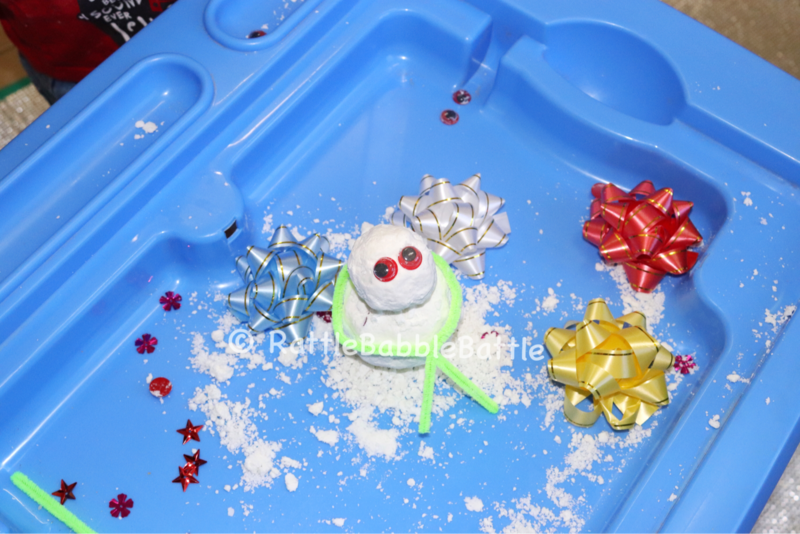 In a tray or activity table put the whole snow mix and keep the items for decorations. Don’t forget to use a mat for easy cleaning. 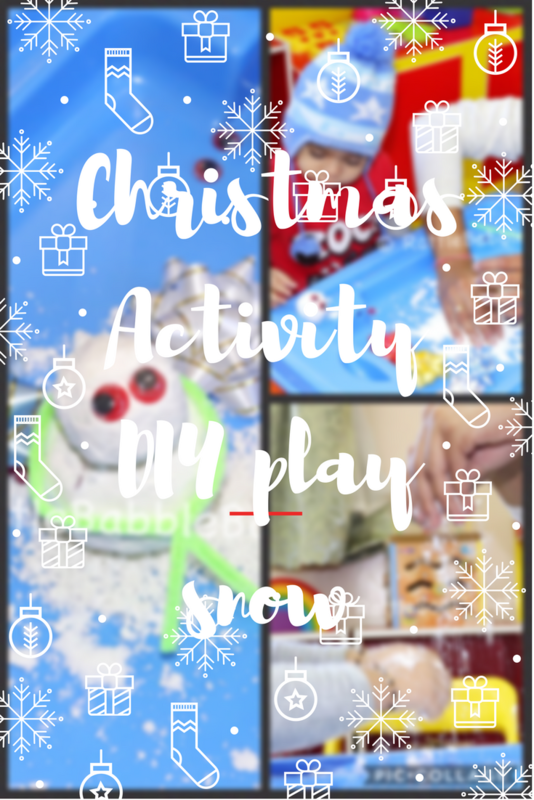 Let the little one explore the texture, show them how to make balls and break it.Do it again and again and let them enjoy the snow for a while.After that show them how to make a snow man. one bigger ball for body. 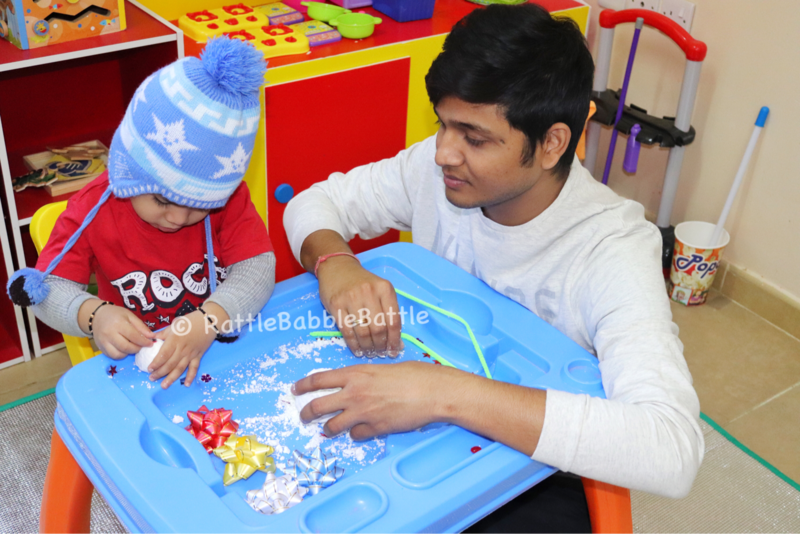 N was in love with the texture and making and breaking balls kept him busy for quite sometime.And we are sure doing this activity again but we are running out of corn starch already ;).Time to go and buy heaps of cornstarch and let it snow here in desert what say ?